Blast from Your Past: Blast from Your Past BOOK 2 - 1960s BORN! Blast from Your Past BOOK 2 - 1960s BORN! 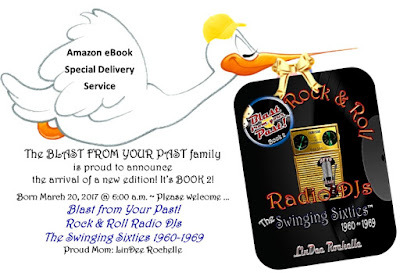 Blast from Your Past BOOK 2 - 1960s REBORN! FINALLY! There were days I thought I’d never say this … please welcome a new Blast from Your Past! family edition … BOOK 2 has arrived! 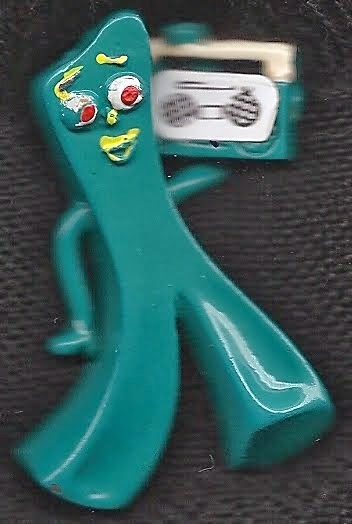 As many of you know, Blast from Your Past! 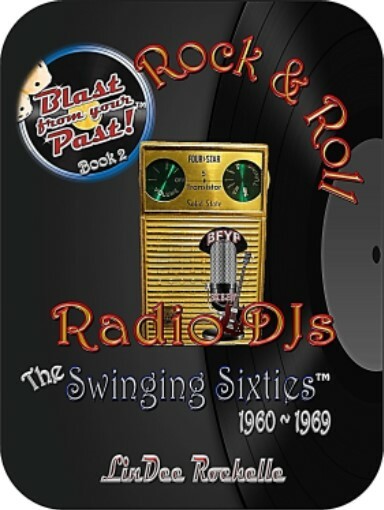 Rock & Roll Radio DJs: The Swinging Sixties bore a long and painful labor … some would say it makes the pleasure sweeter ... hmmmm. 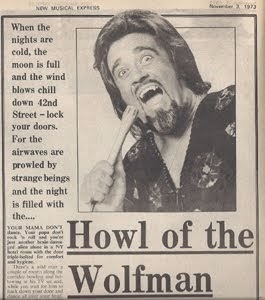 I just hope you enjoy this newborn romp down Memory Lane with our Rockin' Radio DJs! We’re boppin’ to the introductory price of $2.99 (eBook) 'til month’s end. AND if you haven’t read Book 1 yet, The First Five Years 1954-1959, get it now for a companion price of only $1.99. Sale prices effective through March 31st. Thank you to everyone who urged me to continue … some even prodded … and I am SO grateful. Of course, there is still another Rockin’ decade to go ~ The Psychedelic Seventies ~ but I’ll take a breather and enjoy my new 2nd edition until we explore the Seventies in 2018. The eBook edition of The Swinging Sixties is being delivered first, so those of you who have been waiting for its arrival can offer your comments in a review ~ selected thoughts will be included in a review page of the print book! Another Blast from Your Past! book published by Penchant for Penning.